Cancer: 101 Solutions to a Preventable Epidemic takes a positive, solutions-based approach to this unwanted disease. Its pages are filled with practical advice and success stories that will inspire you to act to protect your family, your neighbors, your fellow workers, and future generations. 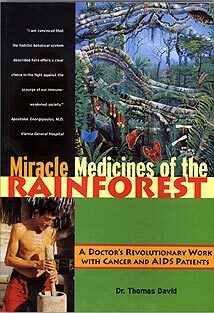 The author's revolutionary approach to cancer treatment caused a storm in the medical profession around the globe. Believing that a tumor is merely a local manifestation of a whole body disease, he advocated a personal, "wholistic" approach that continues to be studied today. Discover how the right food choices can help you survive! Researchers have been investigating how food choices can help prevent cancer and, when cancer has been diagnosed, how they can improve survival. What they have found is nothing short of dramatic. Certain diet patterns - that of eating a plant based diet - seem to have a major effect, helping people diagnosed with cancer to live longer, healthier lives. Thinking of food as medicine is a simple, delicious way to put yourself on the road to good health. This book gives a complete account of the recipe, doses, and uses for Essiac, a native American herbal formula which many have used for self-treatment of various forms of cancer. A certified nutritionist and master herbalist, Yance here touches on the very broad areas of herbs, natural healing, and cancer. While critical of the established medical community for its attitude toward natural healing, whose scientific basis he tries to explain with extensive references, he nevertheless combines conventional therapies with herbs, nutritional supplements, and lifestyle changes to achieve the best results. Yance covers many topics but not in enough depth to make this book useful for lay readers, except for the sample recipes and coverage of the natural ways to relieve the side effects of chemotherapy. The chapters on the chemical composition of herbs and supplements are more suitable for medical doctors, herbalists, and nutritionists. Herbs Against Cancer is a comprehensive and indispensable guide to the use of herbs in preventing and treating cancer. This book is a historical account of the battle between Natuopath Harry Hoxsey and both the American Medical Association and the Food and Drug Administration. It started when Harry's father's horse contracted cancer on his Illinois farm and ate in a different pasture than the rest of the herd, and was cured. Not long after, Harry's father was on his death bed when he asked his son to make natural herbs with cancer curative properties available to the public. The rest of his life, this naturopath would battle traditional medicine in what was deemed one of the longest legal wars in history. Eventually Dr. Hoxsey won his day in court with the AMA by proving that the Hoxsey formulas, which are listed within the pages of this book, cured cancer. Within days, the FDA pad locked 17 Hoxsey therapy clinics in 17 major cities across the united states and the clinic was moved to Tijuana, Mexico, where it operates today. Complete with pictures of nationally broadcasted healings, congressional hearings, and an account of Harry Hoxsey's plight to help mankind in his own words. Rudolf Steiner first suggested that mistletoe could be useful in the treatment of cancer back in 1917. Subsequently, doctors grounded in Anthroposophical medicine have studied Steiner's work and developed products and protocols for their use. These are marketed as prescription medicines in Europe. This 200-page book offers a comprehensive look at the treatment made famous in America when Suzanne Somers announced on Larry King Live that she was using Iscador. Mistletoe is a parasitic evergreen plant that lives on trees such apple and elm. Modern complementary therapies for cancer increasingly make use of mistletoe preparations. However, because mistletoe grows on many different trees, the properties of the plant vary according to the host tree. For the first time, this book presents an important reference for practitioners on the characteristics of each type of mistletoe, and what kind of cancers they are best suited to treat. Thirteen host trees are described, covering all aspects from mythology and botany to homeopathy and flower essences. The author then pulls the various characteristics together to provide a unique guide to which patients might benefit most from the different types of mistletoe. The results will be useful not only in treating cancer but also in prevention. The book includes specific case-studies as well as notes on supplementary therapies using metals. Consumer text discusses the power of good nutrition to those fighting cancer. Identifies everyday foods with cancer-fighting properties and how best to prepare them, which nutritional supplements can help, how certain fats and oils enhance the body's natural defenses, and how flavonoids can help the effectiveness of chemotherapy. A detailed account of Rife's inventions and discoveries is the subject of The Cancer Cure That Worked. This startling book documents events from 1913 to the time of Rife's death in 1972. Rife was an optical engineer and technician of great skill. His first success was the building of the Universal Microscope in the late 1920s. With it he was able to view the living cancer virus -- a feat our modern, high-powered electron microscopes still cannot do. His microscope used many quartz prisms and lenses, placed to compensate for losses of refraction due to air. This enabled him to view far tinier particles than had ever been seen before. Dr. Ingram has determined the role of animal viruses and has found that these viruses enter our bodies, mainly through vaccines: monkey viruses and more. He describes the vaccine danger, as well as the cure: wild spice oils and more. Determine your risks for developing cancer. Also, learn the government conspiracy behind the disease and discover the natural medicines you can use to treat and even cure it. In an age of information, when there is a growing awareness and acceptance of the value of alternative and complementary medicine, it's surprising that basic facts about alternative cancer treatments are so hard to come by. If you don't know the right person, it may take days or even weeks to learn even the simplest of facts. Worse, sometimes information becomes available only as a matter of chance. This book provides an alternative to a way of thinking that the only effective cancer treatment is radical surgery, radiation, and chemical therapies--treatments which often fail and can completely ruin quality of life. The author proposes that by finding the root cause of cancer, one can determine a complete, systematic approach to treating cancer with herbal medicine, lifestyle adjustment, stress-reduction, and nutritional healing, methods that will strengthen the immune system and restore balance to the psyche and the spirit.